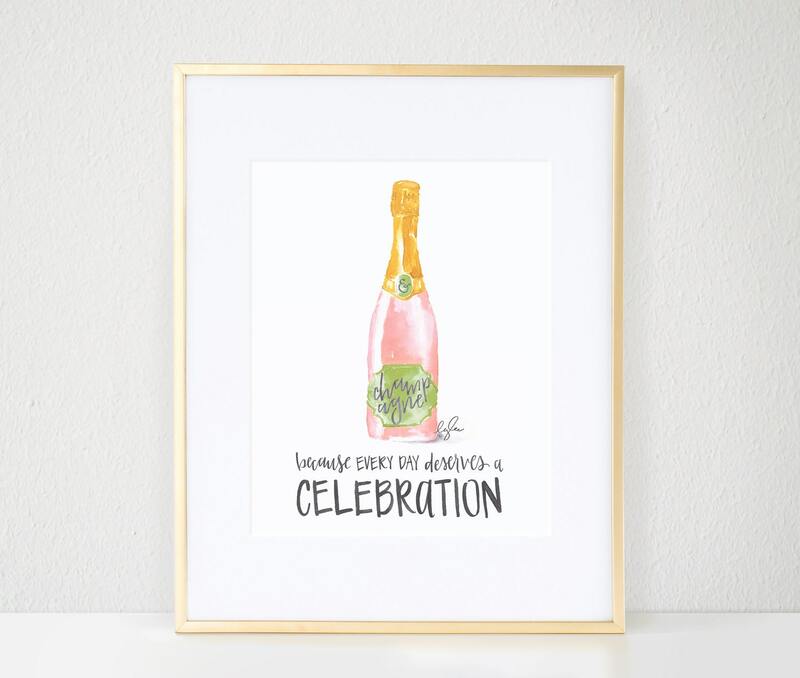 This Champagne Celebration print, made from my original watercolor painting, is absolutely darling! 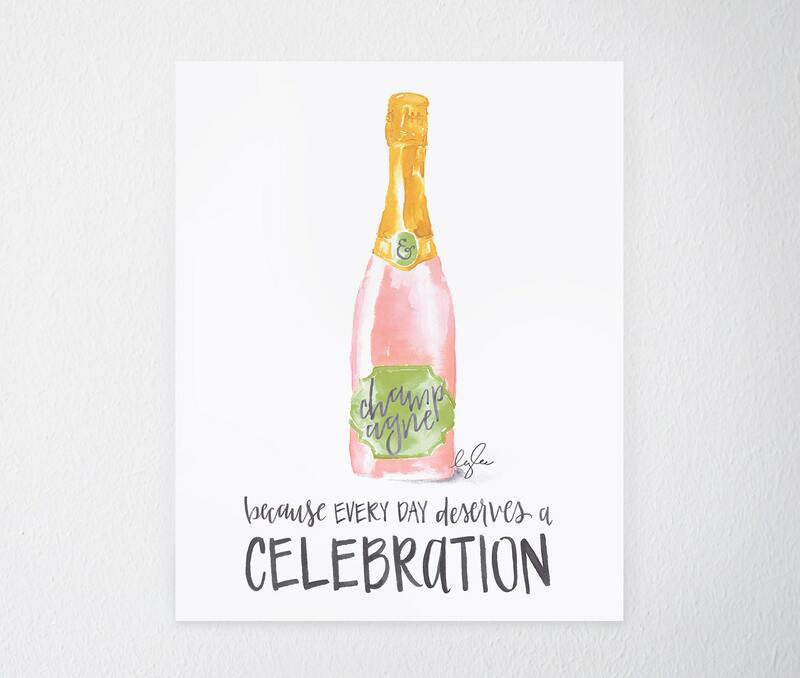 Blush is such a popular color trend right now and champagne is always a good idea, as stated by these very wise words!! The 8"x10" print when matted and placed in a gorgeous 11"x14" frame would make the perfect statement piece in any kitchen, closet, bathroom, or even a chic addition to a gallery wall! Your space will instantly feel like it's straight out of Pinterest and you will delight in popping the cork at the end of the day! Cheers! And, each one is printed on carefully selected, high quality paper with archival inks to ensure a beautifully vibrant print, and also meets our uncompromising quality standards.